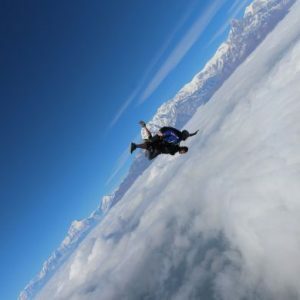 The annual Nepal skydiving event is held in Pokhara. It is a rare trip you don't want to miss out on. 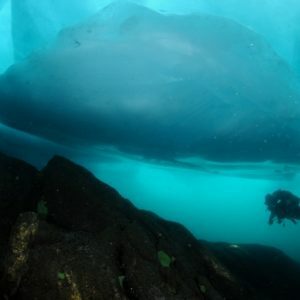 It's one of the most unique travel experiences EVER ! 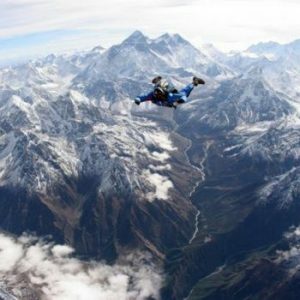 A group of 15 people went on an epic Skydive in Nepal over the snow capped Himalayas and the pictures are crazy, earning them boasting rights for life! Pokhara is the one-stop destination for adventure sports in the world. Plunge into the world of adventure and experience nature like never before. A new Harry Potter Themed Ride is in the making. Muggles get ready to scream!! 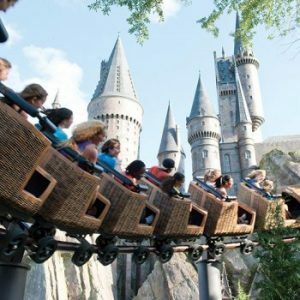 The Universal Studios in Orlando is all set to welcome a new Harry Potter themed ride. This one promises to be more than thrilling. Bibliophiles! 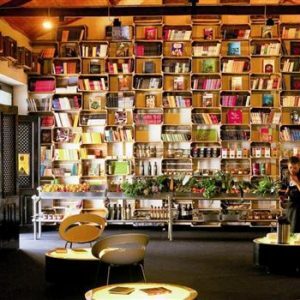 Your Heaven On Earth is Right Here, in Portugal at This Book Hotel. Love dwelling in the world of books? Then head to hotel The Literary Man Óbidos, the book hotel in Portugal. 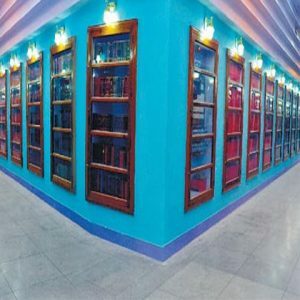 More than 50,000 books await to welcome you! This Game of Thrones themed pop-up bar will fulfil your dream of visiting Westeros! 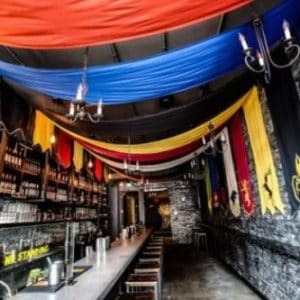 Head to the Washington DC's Game of Thrones Pop-up Bar to taste the plethora of thematic drinks offered to you by the bartenders dressed like Unsullied. Scuba Doo: A whole new way to dive into the ocean’s blues! 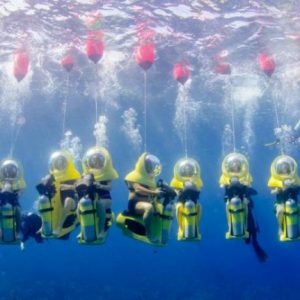 Scuba Doo is a very unique yet uncomplicated way of diving into the ocean. These are uber cool scooters that take you down into the depths of water. 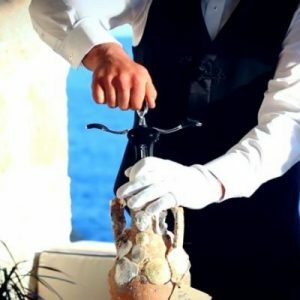 If you weren't tempted enough to go wine-tasting in Europe, this underwater winery in Croatia will have you packing your bags this instant! 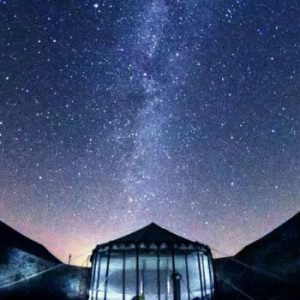 India just got its first ever astronomy resort. Escape away from the city lights to gaze at the beautiful starry sky amid the majestic hills of Rajasthan. 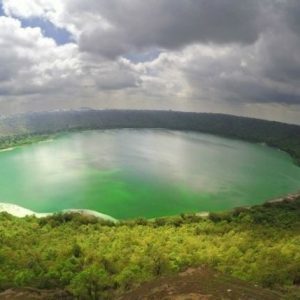 Lonar Crater Lake is situated in the Buldhana district of Maharashtra, near Aurangabad is a perfect place for trek junkies and pilgrims. A village near Jaisalmer called Bhadariya has a population of 1500 people and is home to one of the Asia's largest underground library. Alert! Italy is giving away hundreds of old castles and monasteries for free. 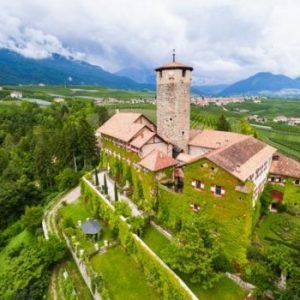 If you ever wished to live in a castle, now's your chance.Italy is giving hundreds of old castles, monasteries and convents for free. But, with a catch. 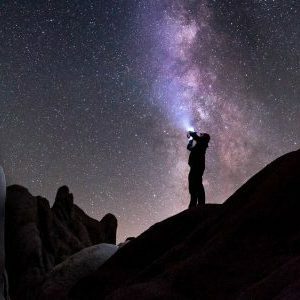 6 Best Places in the World for Astrophotography ! A list of the best places in the world for you and your lens. An unforgettable view of the galaxy.Travelling to these places will be a treat for you. 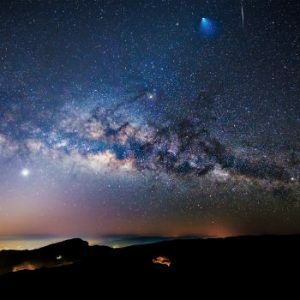 Away from the hustle and bustle of the city, here are the top five places in the world where you can spot the beautiful Milky Way. Grab your gear and off you go, camping under the star-lit sky! 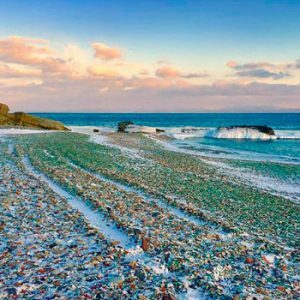 This beautiful glass beach in Russia is one of nature's miracles! One look at it, this beach will surely make you want to walk on glass. 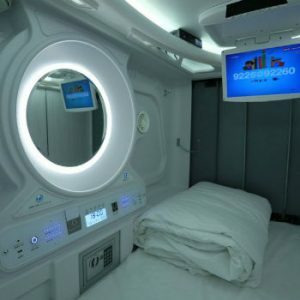 For all the ‘smart travelers’ out there, India gets its first pod hotel! A perfect little space for all the smart travellers, this ultra cool pod hotel has made its way to India. Urbanpod is a budget-traveller's haven! 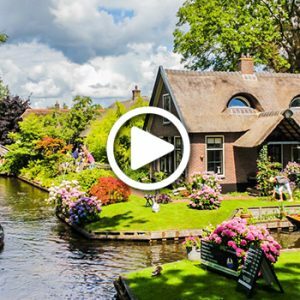 WATCH: The Enchanted Village Of Giethoorn Is Straight Out Of Fairy Tale! The Giethoorn village is also known as the 'Venice of Netherlands' due to its canals which provide the only route of transportation throughout the village. 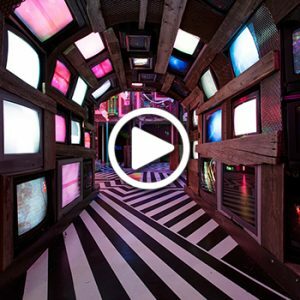 The House of Eternal Return is a unique art exhibit in New Mexico created by Meow Wolf which blends immersive storytelling with amazing set pieces. 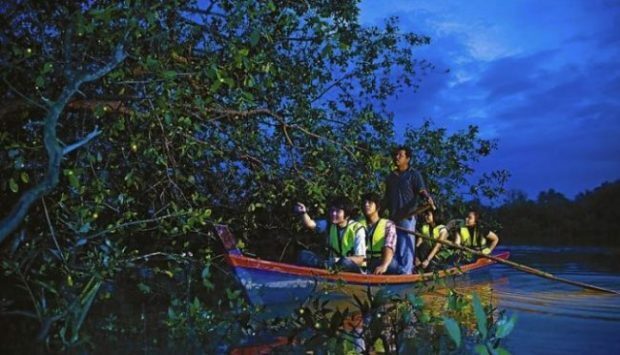 Head to Kuala Selangor to witness the synchronous display of light at the largest firefly colonies in the world situated in Malaysia. 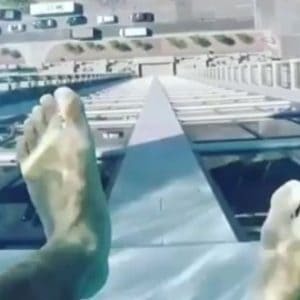 We bet your legs won’t stop trembling after stepping into this swimming pool! 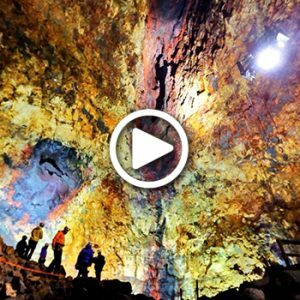 WATCH: Plunge Into The Belly Of This Volcano In Iceland! Thrihnukagigur Volcano in Iceland is the only dormant volcano on Earth that is open for tourists to explore its colourful magma chamber. 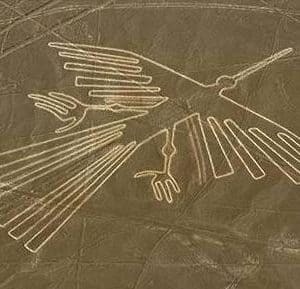 Can you tell what these mysterious lines in Peru stand for? These gigantic drawings in Peru have confused the world for decades. The meaning and origin has always remained a mystery. Can you tell what they are? 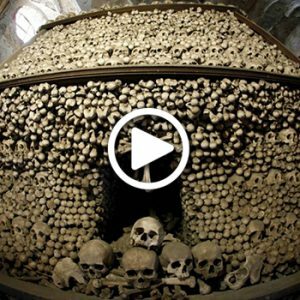 WATCH: The Bone-Chilling Artwork Of This Church Will Haunt You! Sedlec Ossuary is a Roman Catholic Church located near Prague where the bones of 70,000 people have been decoratively rearranged by artist František Rint. 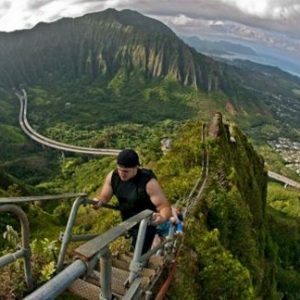 Haiku Stairs: The only off limit stairway to heaven which you can’t resist to climb onto! You have to hike through this illegal hiking trail known as Stairway to Heaven to feed your thirsty soul longing for adventure! 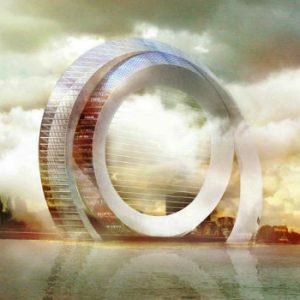 Discover what's it like inside the world's coolest windmill, the Dutch Windwheel.There's a Ferris wheel with underwater glass booths, a sky-lounge and more! 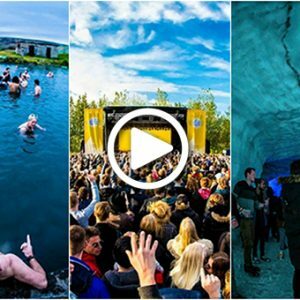 WATCH: This Music Festival Has A Stage Inside A Glacier And A Volcano! Secret Solstice is an unusual music festival which takes place annually during the summer solstice in Iceland and each year introduces a new exciting venue. 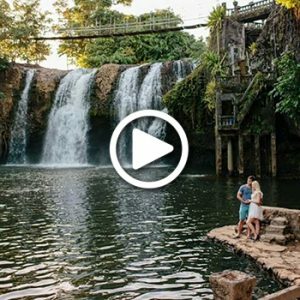 WATCH: Rediscover This Crumbling Castle In The Heart of A Tropical Rainforest! Paronella Park was the lifelong dream of a Spanish baker which came to fruition in the year 1935 and this castle still stands today in all its glory. 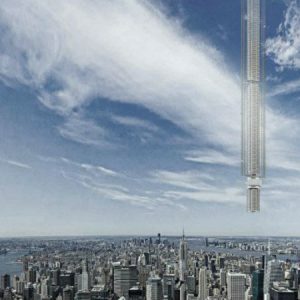 The answer to all your sci-fi dreams of living in space, a skyscraper that's suspended from an asteroid, 50 thousand km. above ground! 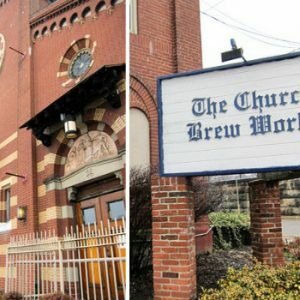 WATCH: Practice A Different Religion At This Abandoned Church Turned Skate Park! The transformation of an abandoned 100-year-old Spanish Church into a skate park filled with mesmerizing artwork by street artist Okuda San Miguel. 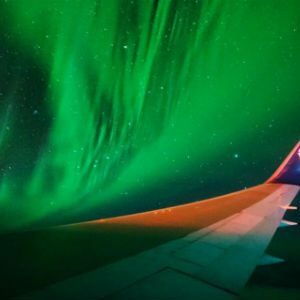 This first of its kind chartered flight took a few lucky people on a journey of a lifetime, circling around for 8 hours chasing the Southern Lights. A list of some of the most amazing places in the world which were once left dormant and were subsequently brought back to life. WATCH: Climbing Without Ropes With Only The Sea To Catch You! 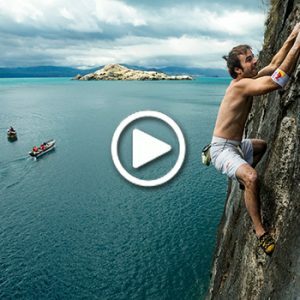 A look at an amazing form of rock climbing called deep water soloing that uses the water below as a safety net and three incredible locations to practice it. 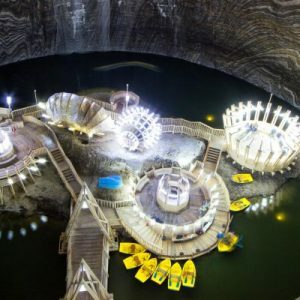 Salina Turda was originally a historical salt mine before it converted into a very awesome underground Sci-fi themed park in Romania. 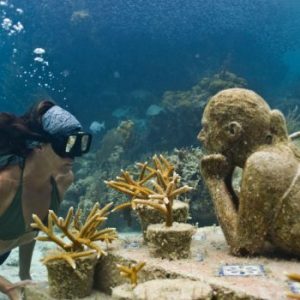 WATCH: These Underwater Museums Are Taking Art To Another Level! 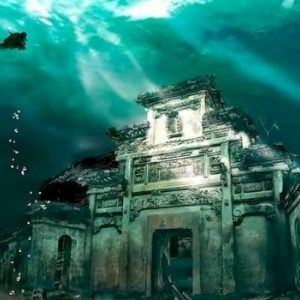 A look at two stunning underwater museums which are reviving marine life and raising awareness towards reef conservation and modern-day social issues. WATCH: Fancy Living In A UFO ? Italian yacht designer Jet Capsule's Unidentified Floating Objects inspired by UFOs just got updated! 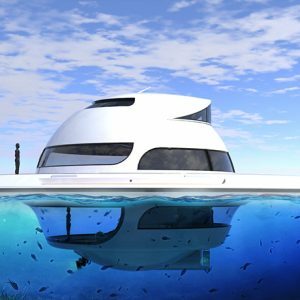 UFO 2.0 is the houseboat of your dreams! Located deep within Columbia, Caño Cristales is a one-of-a-kind river that explodes into a vivid kaleidoscope of colors for few months of the year. Mumbai’s first floating restaurant is now up and swimming. Anchors away! Mumbai gets its first floating restaurant. 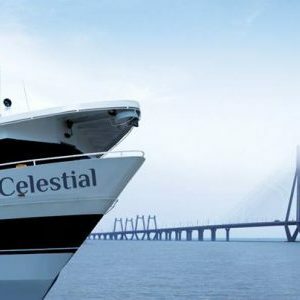 AB Celestial's luxury three-tier floatel lets you wine and dine in style. Anchors away! The ice cold waves of the Arctic attracts hoards of surfers annually. 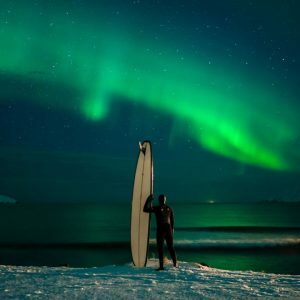 Search the perfect waves beneath the Northern lights for an adventure of a lifetime. I dare you to step into this abandoned water park in Vietnam ! 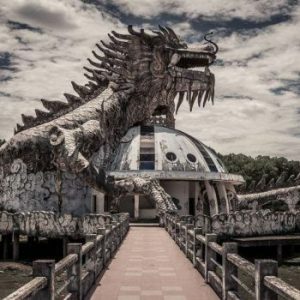 An abandoned water park in Vietnam now only home to crocodiles and wild plantation is sure to give you goosebumps. Do you have what it takes to go there? 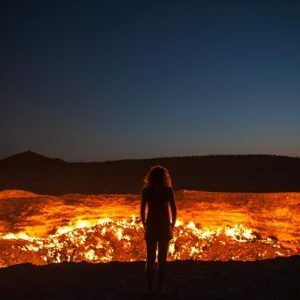 Ever gone hiking up an active volcano ? 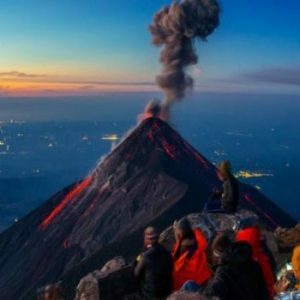 A unique experience hiking on an active volcano. Now add surreal views and the thrill of watching eruptions from your campsite. Are you ready for this? WATCH: Pay To Get Locked Up At These Prison Hotels! 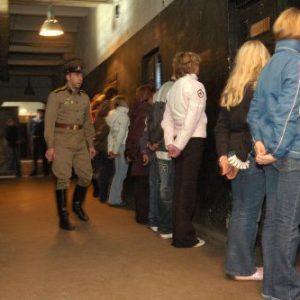 A virtual visit to three extraordinary prison hotels which each have a different past and how they have been transformed to cater to their guests uniquely. 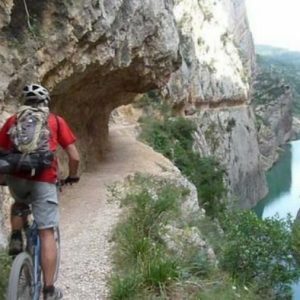 WATCH: This Is One Of The Most Perilous Biking Trails In The World! 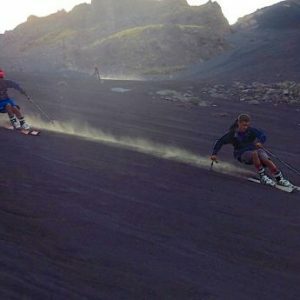 WATCH: Skiing Down An Active Volcano In The Summer ! Skiing down the slopes of Europe's largest active volcano, freeriding its dark ash filled off-piste routes is only for the daredevil in you! 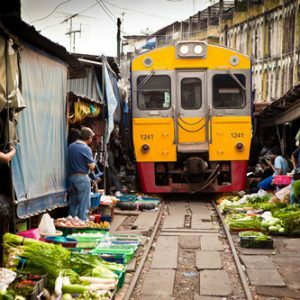 The Maeklong market in Bangkok is one of its kind as it has passenger trains running through its passage. It is one of the largest markets for exotic edibles in Thailand. 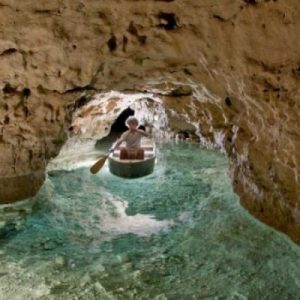 Tapolca caves situated in Hungary can be explored by rowing in a boat in the warm turquoise water underneath the city of Tapolca. 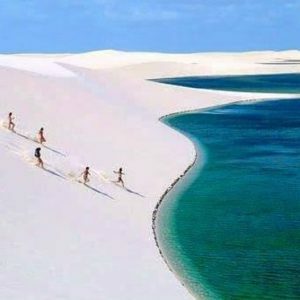 The sand dunes and lagoons formulate a rare natural phenomenon. A landscape thousands of years old is a visual treat covered in blue and white. 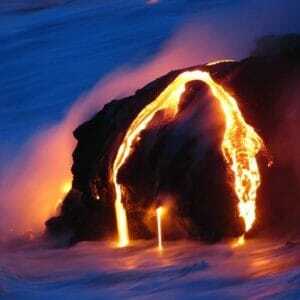 WATCH: Have A Blast Exploring The Volcanoes Of Lavaland, Hawaii!